Use our Fuel Cost calculator to stay one step ahead of your rental firm. 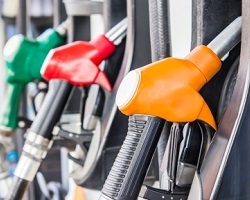 Following a campaign by consumer champions Which in the UK and OCU in Spain, car hire companies have dispensed with the 'pay for a tankful of fuel and return it empty' policy - but they are still finding fuel a great way of extracting extra pounds from your pocket. Bowing to legal pressure many have replaced this scheme with another - where they will refund you for used fuel - but levy a service charge for the privilege. But unwary renters be aware - returning your fuel tank empty may well be the worst option under this system. As always we are looking to keep you one step ahead of overpriced extras from car hire firms, and therefore we have created the MoneyMaxim 'Car Hire Fuel Charge Calculator', which allows you to identify hidden costs of the fuel policy your rental firm is asking you to enter into. The calculator takes into account the following factors which can contribute to you being out of pocket. We have used average fees from a range of sources across Europe, but would encourage you to tailor it to your specific rental. Service Charge If you are entering into a Prepaid Fuel with Refund Contract you normally find a non refundable service charge applies. We have used the representative figure for the size of car, and the country you are renting in. Fuel Cost Premium Car hire companies often charge a bit more than pump prices for their fuel. We have used 10% - although in practice we have seen this vary from nothing to 20%. Unused Fuel Car hire firms rarely see cars returned empty. One car hire firm recently told us that they see about €20 of fuel returned on the average rental. This is because car fuel gauges err on the side of caution when you get into the red and none of us will risk running out of fuel when we return to the airport and have a flight to catch. Refunds are rounded down If you are to be refunded for any unused fuel you normally find this is to the nearest quarter or eighth of a tankful below where the needle rests. Unless you are bang on the mark you will be losing out. Credit Card Fees Firstly always pay in the local currency when using your credit card bill. A car rental firm in Geneva for instance will levy a fee equivalent to 6% if you opt to pay in sterling! And try to use a card that does not levy a foreign transaction fee - that will add another 2% - 2.99% to your bill, both on your up front payment and any subsequent refund. Finally, if you are renting a car at home or abroad, do remember that it's not just fuel charges that can cost you dear - car hire excess insurance is probably an even bigger area of saving - we will provide a quotation for independent car hire insurance policies automatically with every car hire quote but, if you have already arranged your rental car deal elsewhere, do get an insurance only quote and compare car hire excess insurance policies with MoneyMaxim.